Categories: ±10 mA, ±10 V, ±20 mA, ±5 V, 0…5 V, 1 channel, 2,5 kV, 600 VAC/DC, Active, Compact, Input signal, No. 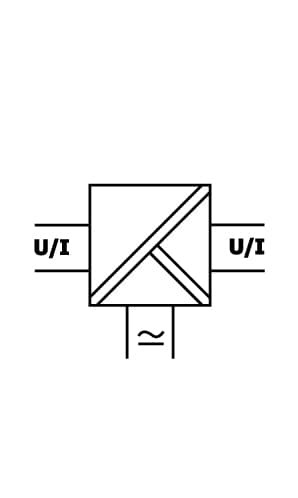 Of Channels, Type of isolator, Isolators, Yes, Isolation Transmitters. The Isolation Transmitter IsoPAQ-161P is mainly used for isolation of bipolar signals, such as ±20 mA, ±10 mA, ±10 V, ±5 V, and conversion into unipolar output signals. 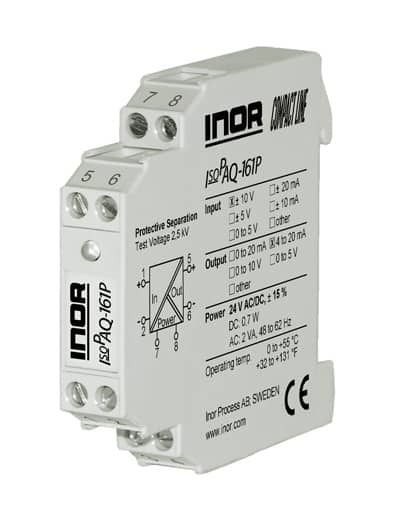 For applications where normally one signal combination only is used, IsoPAQ-161P offers a cost-effective alternative. The high reliability and the Protective Separation are further features, which ensure a safe system operation.